I have the one off the dev site, it doesnt give me warning either. Entities cant go through the gate and appear the other side like the nether portal should when working correctly. This compat with Spigot 1.10? I'm using the latest nether portals plugin, but when I go through the nether portal it takes some health from me and it makes that 'donk' sound when you do. Unlike vanilla, if you do not get out of the portal on arriving at the other side, it will send you right back. You can just go back and forth forever if you don't leave the portal. This is OK, except in creative, when portals are instant. If you step into a portal, good luck getting out of the loop of going back and forth over and over again. I haven't had the issues @sleite has been having, everyone's been arriving into the respective nethers safely, so far. The problem I'm having is that it seems to be interfering with WormholeXTreme. Without mvnp installed, I can have as many sign gates as I need, without any issues. Once I drop mvnp into the plugins & restart, I can have up to 4, and it doesn't matter which worlds they're scattered among, or even just on the same world. Once it hits 4-6 sign gates, the signs on those gates don't update anymore. They still WORK, but the signs don't update. This is with the latest multiverse-core, multiverse-netherportals, and wormholextreme. If I remove mvnp, all sign gates' signs work normally again. Is it compatible with spigot 1.9.2 or 1.9.4? Giving players tp command is not an option. I've been running my server as a hobby server for over 5 years and never experience this issue. Lag for 2-3 players at a time also not an issue. Been trying for over a month - still can't figure out the problem. I've all but give up on it. I just tell my players not to go to the nether. For the most part, none of them mind too much. I assume the problem will eventually fix itself with either a new relase of Spiggot, or a new release of Multiverse. Since I already use these two plug-ins: Citizens 2, and Shopkeepers. I just added one more plug-in called Netherstar. The Shopkeeper sells the Netherstar item for a few gold coins. When the player 'uses' the Netherstar item, they are teleported back to spawn. This seems to be a good alternative for now. Going through some portals between non-default worlds gives you some damage. In an extreme case, it kills any players who goes through a portal from the overworld to the Nether by "suffocation" upon trans-dimension teleportation. Also, the items does not get transferred over when thrown through the portal: they get lost/deleted. Are these a fixable problem? EDIT: Nevermind; the problem was with the worldborder. However, it's still a problem. It looks like the player gets teleported to the same exact coordinates of the next dimension before teleporting them to the appropriate nether portal location. It looks like this very method is causing players to still lose half-a-heart when going between dimensions. Also, the items thrown into the portal still gets lost. I hope a new method of teleportation gets developed soon. Nether portals aren't being formed in the nether when you teleport from the overworld. Having similar problems with teleporting to the nether, except my players can get TO the nether just fine. Getting back to the over-world is the problem. Once they are in the nether, trying to come back to the over-world results in them appearing in the overworld (portal), and almost immediately being teleported back to the nether again. Playing on my localhost, I do not experience this problem (whether I am op, or not op), so that got me thinking it might be a latency / lag issue. I cannot reproduce the problem myself, but all my players are experiencing this problem. Hard for me to test / troubleshoot since I am not affect - only players are. Hope this helps track down the problems and squash it. I have the same issue, but I don't think it has anything to do with MV-nether portals, since I don't use it. Probably more of a MV-core issue. In my case, travelling to the overworld works correctly, but when going TO the nether, it teleports me to the correct destination, then 2 seconds later, it teleports me to spawn. I suspect, but can't prove, that the second teleport is caused by a small delay that causes the player to be yanked back into the portal area and the plugin is interpreting this as the player re-entering the portal. I have the same issue with my server. I can't figure out for the life of me why but some nether portals work perfectly and others send you to the right place, but then immediately to the wrong place. The wrong place is nether coordinates x8, the same as the overworld coordinates except in the nether. If I go back in the portal it again multiples coordinates by 8 (sending me to the overworld this time) and if I go through that portal, the process repeats (sending me to the nether at yet different coordinates). One of the more frustrating things is I can't find a pattern to determine if a portal will or won't work. edit: it seems to be the fault of a custom plugin that was designed to teleport players to a safe place when players would teleport into blocks. Disabling it fixed the error. The issue didn't arise until 1.9 so it is likely your problem is caused by a plugin that does something similar (as far as I can tell, probably caused by bukkit events behaving differently). Worldborder plugin also causes similar issues (though more consistent, teleports you away whenever your coordinates in the teleportFrom world are outside the border of the teleportTo world. I'm not sure if it's just me or just my server, but as I'm testing with Spigot 1.9, I'm finding that when I go from an overworld through a nether portal into the nether, I get teleported into the nether, as I should, but then, with some (not all) portals, I almost immediately get teleported again to another location in the nether, very far away. Everything worked fine with Spigot 1.8.8. 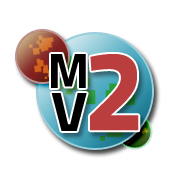 I'm using MV-Core build 713 and MV-NP build 704. Not sure if the problem is with Multiverse or Spigot, or both.